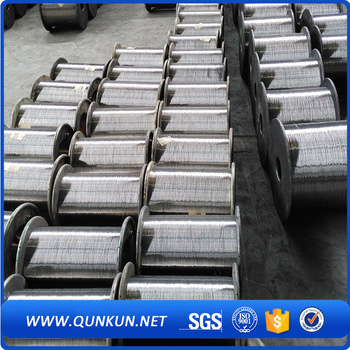 Product categories of Stainless Steel Wire, we are specialized manufacturers from China, Steel Wire Rope, Spring Steel Wire suppliers/factory, wholesale high-quality products of Wire Rope Grips R & D and manufacturing, we have the perfect after-sales service and technical support. Look forward to your cooperation! - Drawing Grade wire rods are used by downstream industries for various applications such as making wires for welded Mesh, mails, hanger, screws, chain link and gabion fencing, wire nets, barbed wires and binding wire. - Wire rods of Mesh Grade quality are used to manufacture cold deformed concrete reinforcement bars as well as reinforcement mesh. 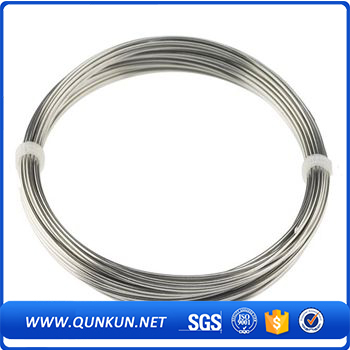 - Welding quality wire rods are used for making wires for stick welding electrodes.